Slim Boot Tungsten Bucking Bar is widely used in the back side of a metal rivet weapon like gun. It significantly counter the force of hammering and creates a bucktail. 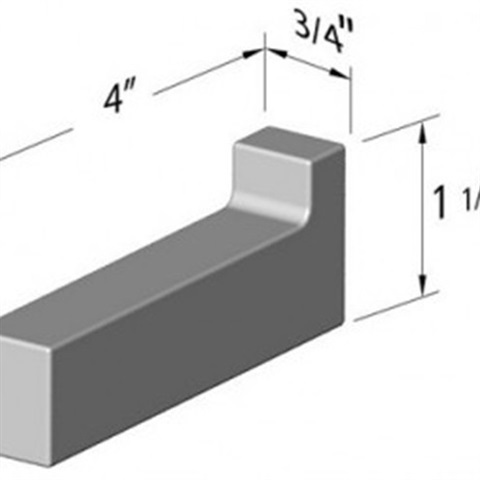 This advanced range of metal bucking bar is manufactured by using 100% of pure tungsten. Slim Boot Tungsten Bucking Bar find its applications in various industrial sectors, like nuclear, aerospace, automotive and many others. Our prime customers can place their orders and access this optimum and long lasting Boot Tungsten Bar in different modifications at affordable market prices as per their requirements.